There are several things that we have to report from the Linux camp: Linux Mint 6 Final is pretty much ready to make its debut; the guys over at HP have decided to once again ship out their desktops with Linux preinstalled; and last but not least, a school teacher from the US of A has banned Linux in her classroom. Linux Mint 6 RC 1, which was released by the middle of November, was extensively tested by Linux fans all over the world – what else were they to do since the release of Linux Mint 6 Final was pushed back because the lead developer of Linux Mint, Clem Lefebvre, had some personal business to attend to. He has today come out and announced that even though the ISO of Linux Mint 6 is available for download on certain mirror sites, users should just wait a little bit more. “I’m currently working on the Universal Edition (which replaces the “Light Edition”, comes with a text-based grub for improved compatibility, removes codecs from the Main Edition and adds language packs on a live DVD media). The reason it’s taking time is because I still don’t have broadband… and the size of some of the language packs makes it difficult for me to perform this. To be realistic we’ll probably be fully ready and announcing the officially release of Linux Mint 6 early next week. That leaves you a few days to review the user guide and the rate applications in the software portal,” explains Clem Lefebvre. Since the economy is on a downward spiral and more and more people are losing their jobs, it goes without saying that companies and organizations need to cut back on unnecessary expenditures. The HP Compaq dc5850 product which has been developed for use in schools and a small/medium business will come with Novell's SuSE Linux Enterprise Desktop preinstalled. The desktop system is scheduled to hit the US market by the middle of December (sorry Australia and the rest of the world). 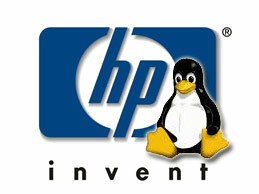 HP is not the only big name to switch (or better yet return) to Linux – Dell and Lenovo have also done this a few months ago. Since we are on the topic of schools, the next one will crack you up, I’m sure. A teacher from the States noticed that one of her students was showing of a HeliOS Linux distribution on his laptop and was even handing out free copies. Her reaction was swift: she confiscated the discs, issued some detention time, and even wrote HeliOS to complain. The letter is pretty long as you can imagine, but the gist of it is that no operating system is free, Linux OS holds kids back and is a mockery, Windows is king and rules every machine out there, and Microsoft will surely hand out older versions of their Windows OS (for free) if you cannot afford to purchase one. If you would like to read the whole letter, you can do so here.